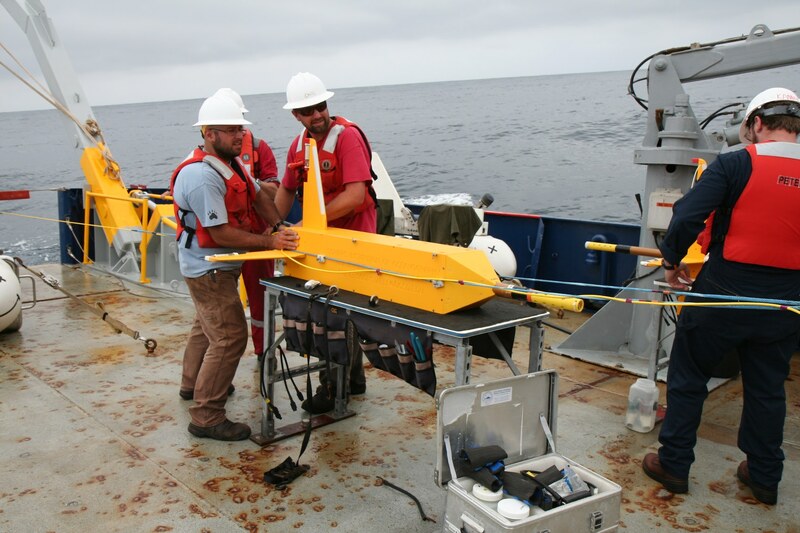 Under support from a cooperative agreement with BOEM, we carried out a controlled source EM survey of the Santa Cruz Basin, offshore southern California, to map gas hydrate. We focussed our survey on a seismic signature called the "bottom simulating reflector" (BSR) observed in legacy seismic data from this ares. The BSR is evidence of gas accumulation at the base of the gas hyrdrate stability field. 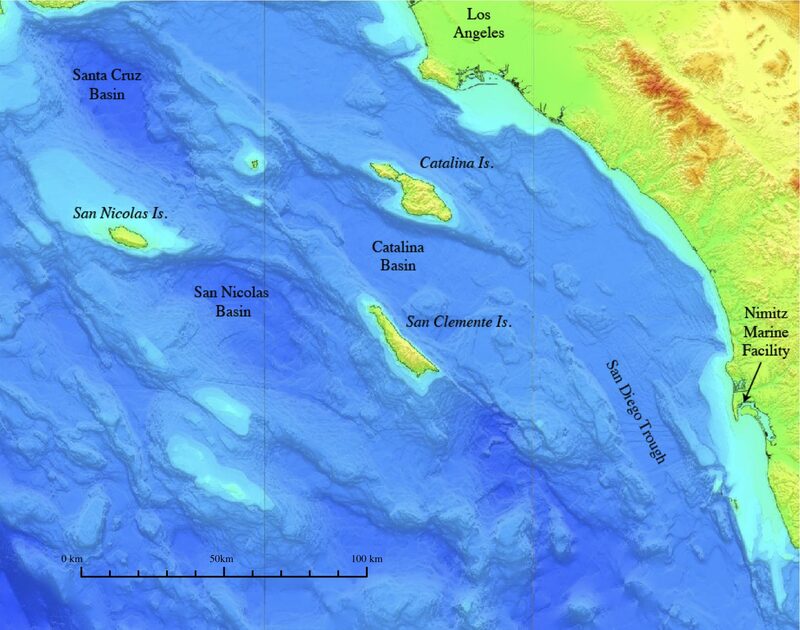 Map showing basins offshore southern California. The Santa Cruz Basin is in the northwest corner.